Studia canonica est une revue savante de droit canonique publiée deux fois par an par la Faculté de droit canonique de l'Université Saint-Paul à Ottawa (ON), Canada. Elle accueille des propositions d'articles en français et en anglais. 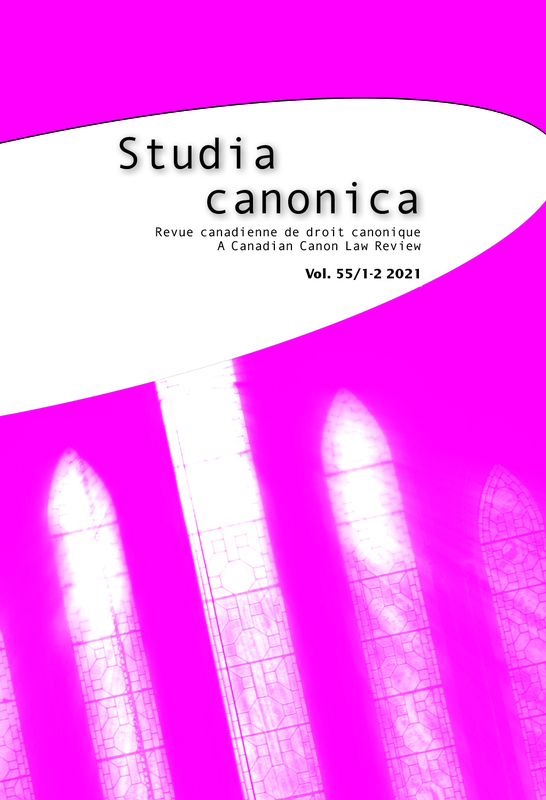 Studia canonica is a scholarly journal on canon law published twice a year by the Faculty of Canon Law of Saint Paul University in Ottawa, Canada. It welcomes submissions of articles in English and French. Studia canonica is abstracted and indexed in the Arts & Humanities Citation Index and Current Contents/Arts & Humanities; Canon Law Abstracts; ATLA Religion Database; ATLA Catholic Periodical and Literature Index; Dietrichs index philosophicus; Index Theologicus; Elenchus Bibliographicus (Ephemerides Theologicae Lovanienses); Francis, Bulletin signalétique 527: Histoire et sciences des religions; IBR - International Bibliography of Book Reviews in Scholarly Literature; International Bibliography of Periodical Literature on the Humanities and Social Sciences / IBZ online; Index to Books Reviews in Religion; Index to Canadian Legal Periodical Literature; Index to Commonwealth Legal Periodicals; Index to Periodical Articles Related to Law; Scopus. Studia Canonica is a peer-reviewed journal.